A social and operational history of the Victorian and Edwardian Navy. Descriptions of the life of officers and men together with the tasks in which the navy engaged in policing the empire, chasing slaves and pirates, mounting punitive expeditions ashore, build a portrait of a legendary service which claimed supremacy on every ocean. "For this reviewer's money, Rule Britannia is Peter Padfield's best book so far . It affords a hitherto unequalled insight into the human side of the British Navy in its greatest days, into the spirit and character of sailors and officers which made that navy unbeatable." "I enjoyed his descriptions of life on the messdeck, in the gunroom, in the wardroom and in the cuddy very much. 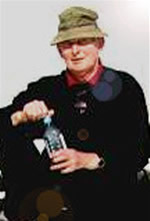 He brings the quality of life alight and he has found a fine collection of sketches and photographs to illustrate the text... I think the best bit is the description of life on the messdecks, of the relationship between seamen and stokers, between executive officers and engineers and, of course, the relationship between officers and men... To sum up, I enjoyed reading this book very much and I can unhesitatingly recommend it." 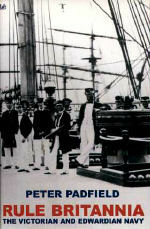 "This highly informative and lavishly illustrated volume by a naval historian who is also an experienced sailor describes the Navy's many tasks and explores the lives and attitudes of the officers and men of a uniquely powerful force."